The Owner�s Manual for Your Life! Founded in the twentieth century by the late spiritual teacher Ra Uru Hu, Human Design is often called the �new Astrology,� and the �intersection of science and spirituality.� Your Human Design chart is formulated by taking your birth date, time, and location and extrapolating specific personality traits and life paths from this convergence. A Human Design chart offers an astonishingly accurate guide to your personality, as well as direction and counsel on how each individual can deal with challenges in their life. Previously, Human Design charts have been notoriously difficult to interpret and decipher, usually taking a dedicated expert to read and translate them into plain English. At least, that used to be the case�until now. 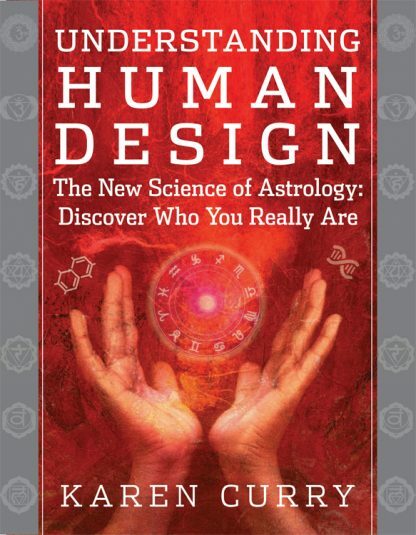 In Understanding Human Design: The Science of Discovering Who You Really Are, author Karen Curry walks you through the sometimes complex and intimidating Human Design chart with simple, direct language. You will learn about each level of Human Design, from the most basic elements of the chart to the deeper, more nuanced insights Human Design offers, all in an approachable and interesting way. Understand how every line, intersection, and symbol correlates to a personality trait that can directly affect your life with an experienced guide by your side. Your personal Human Design Chart can reveal your strengths, your weaknesses, and perhaps most importantly, your potential. Prepare for repetitive difficulties that you might encounter throughout your life, and embrace the opportunity to grow as you understand your personal Human Design strategy. With author Karen Curry�s assistance and knowledge, you have a path to overcome these difficulties simply by following the directions set out in your Human Design chart, the �owner�s manual� to your life.